Monday through Wednesday — 10:00 a.m. to 5:30 p.m.
Thursday and Friday — 9:00 a.m. to 7:00 p.m.
Saturday — 9:00 a.m. to 4:00 p.m. Call the store for special holiday hours! 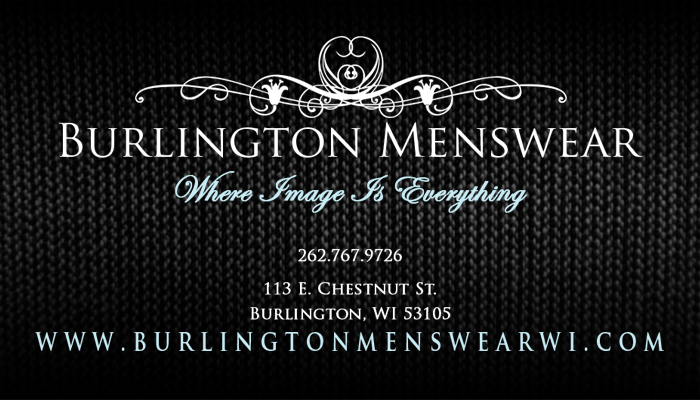 Read more about Burlington Menswear or explore the rest of our website. If you have any questions, please call 262.767.9726.